Every Saturday, volunteers for local North Melbourne group Many Rooms meet at the North Melbourne Community Centre to feed the homeless and disadvantaged. “We started with a group of five people six years ago, it took us a while to get up and running, but we’ve been going on ever since,” says group founder Jim Davison. Homelessness is a growing problem in Melbourne, and the crisis accommodation system is “not quite adequate to keep people out of homelessness”, says Mr Davison. The Melbourne City Council does acknowledge the problem of homelessness and the need for groups like Many Rooms, and on its website has a page dedicated to this issue, saying homelessness “requires a whole of community response”. 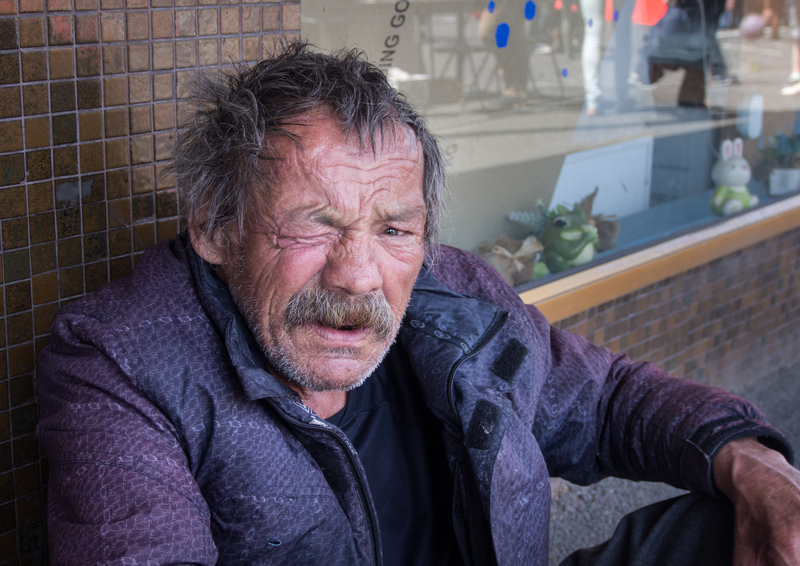 The City of Melbourne aims to contribute to developing sustainable pathways out of homelessness, but we cannot do it alone,” says the council on their social support webpage. Many Rooms works with the City Council to reserve the space each week, and has been supported since its start by the Melbourne City Council. “We pitched it to the City of Melbourne and they said great, let’s do it, and with them we identified this space,” says Mr Davison. The space, located at the North Melbourne Community Centre, lets members sit down and relax for the entire morning and afternoon while volunteers prepare and serve meals. “It’s got all we need, a kitchen space, a dining space, and people can hang out and it’s a place that they can spend a bit of time on a Saturday,” says Mr Davison. The city of Melbourne provides the space, but volunteers’ work is unpaid. “People don’t come here unless they really feel a motivation to be involved,” says Mr Davison. Volunteers are trained to recognise and understand the diversity of the community they are serving. “About a quarter of people who come are homeless, which means that they’re either on the streets or in boarding house accommodation or some sort of crisis accommodation,” Mr Davison continues. “We also get a lot of people from the public housing community, from non-English-speaking backgrounds as well. Volunteers face challenges when working with the disadvantaged, especially those with mental illnesses and those in crisis situations. “We’ve got a lot of people who have problems with chronic homelessness, so they might get sorted out for a period and then head back to the street. The group encourages volunteers to get to know the people they help. Volunteer Victoria started volunteering over two years ago and says the interaction she has with members is “meaningful, the kind of stuff that makes your heart smile. “More of the moments that have impacted me personally have been one-on-one conversations with participants. “What’s different here is the effort the volunteers put in, particularly given the numbers we serve, and the fact that we cook the food from scratch,” Victoria says. Volunteers will often spend all morning and afternoon preparing meals, cleaning, setting up tables, and interacting with the homeless. “There’s a lot of love put into the preparation of our food and the service that we give,” says Victoria. The people being served come not just for a meal, but also for social contact and to feel a sense of community belonging. “Many Rooms volunteers enjoy the company of their friends and the people they serve,” says volunteer Steven Duncan. “Rather than go to the footy on Saturdays and spend money they don’t have, they come here to catch up with their friends and have a meal for free,” says Steven. “We get to know people and know them by name,” Mr Davidson adds. The personal relationships formed at Many Rooms encourage members of the homeless community to come back each week. “The homeless and disadvantaged we serve come here also for social contact and the community aspect,” says Mr Davison. The City of Melbourne Council’s homelessness webpage says that they support groups like Many Rooms and are “in consultation with a broad range of our partners and key stakeholders” to help fight homelessness.